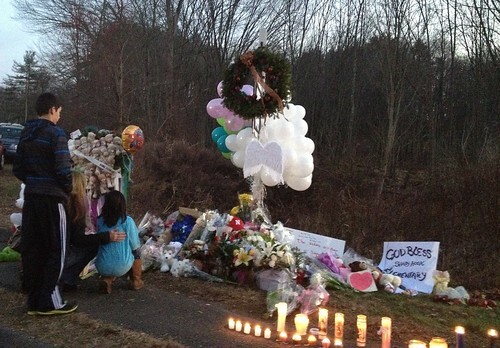 The news about the shooting in Sandy Hook hit me like a sack of bricks when I found out last Friday. My colleagues got to work quickly to find out how our local chapter was responding and how we could support them. As a member of the social engagement team here, I focused on watching the online conversations about the shooting so I could help connect people who needed information to the right resources. There were many posts from people who were sad, angry, confused and in emotional distress. However, there were also messages of sympathy, offers of help, and a sense of purpose in coming together to support the Newtown community. Our team of digital volunteers stepped up to help with this, and also to give out digital hugs. For anyone feeling frustrated, scared, or overwhelmingly sad about the disaster, we shared the tips and links below to give them options and arm them with some knowledge to help them take steps to protects their own mental health and well being. Remember to disconnect from news coverage and reading about the disaster once in a while. In today’s 24/7 news cycle, it is easy to forget that you need mental breaks from topics that can cause distress or emotional reactions. Rely on your relationships and your support network, and offer support to those around you. Sharing experiences and even regular day-to-day activities can help relieve stress and give you a sense of hope, purpose, and self-esteem again. Know what resources are available in your local area or nationally for professional help. Sometimes, you just need to talk to someone who is trained to listen. In the aftermath of disasters, the strongest force in recovery is mutual support within the affected communities. It’s always important to remember that it’s okay to have strong emotions after a disaster, as well as the fact that you are not alone in feeling that way. Ann Curry & various social media have begun a “26 acts of kindness” campaign that is going viral. May I suggest easy donations of $26, $126, $226, etc to become part of this campaign. It’s what I intend to do with part of what I usually disburse at Christmas to relatives. Make it easy for people to choose you! With that said, there may be other local groups in Connecticut that need support and are offering mental health services. I would recommend searching online to see if any are asking right now. Thanks for your willingness to help!